With currently 45 Emerging Hedge Funds in 7 categories, the new Emanagers DB is the only database dedicated exclusively to Emerging Hedge Fund Managers. 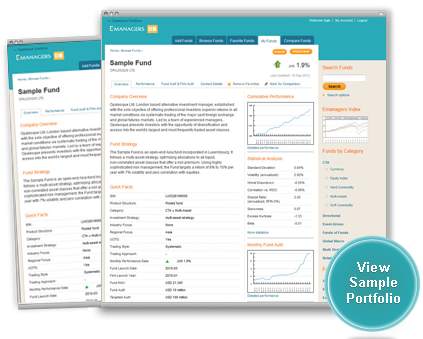 The Opalesque Solutions Emerging Managers Database is an extremely niche and specialised database of Emerging Hedge Fund Managers, and access is available for eligible investors such as Funds of Funds, Family Offices, Pension Funds and UHNWI globally as well as academia and research analysts. 2) AUM of the firm at the time of the firm's inception is less than $600 million. Context BH Financial Opportunities Mas..